Be part of the Workforce Operations team at #CWC19. 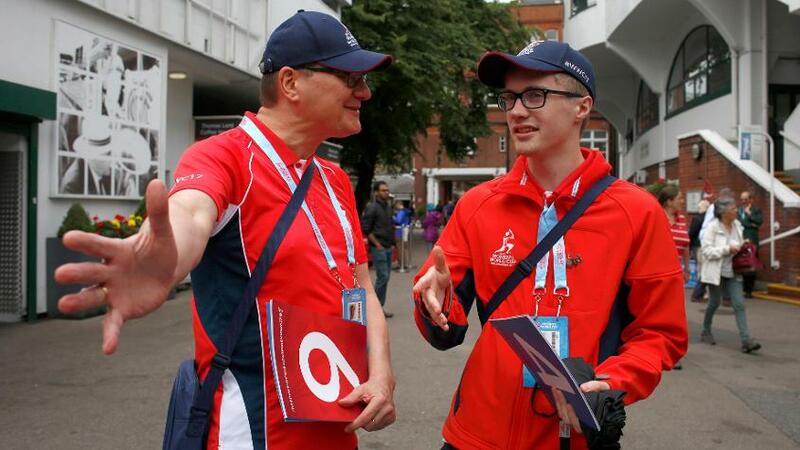 Location: Workforce Operations Volunteers will be based within the volunteer break area at CWC19 host venues. Duration: On a match day, the Workforce Operations team will be some of the first to arrive at the venue. As part of the role will involve welcoming staff, volunteers have a long day; but one full of interaction and fun. After the match, the Workforce Operations team wave their goodbyes to the team they’ve supported and venture home for a well-earned rest! The Role: The Workforce Operations Team deliver support to all volunteers and staff in and out of the venue. Volunteers in this team help create a warm and engaging environment where everyone can have fun, relax, and interact. The Workforce Operations team will be busy from the get go; welcoming fellow volunteers for their shift, checking them in, distributing meal vouchers and any essential items fellow volunteers need to complete their roles. The ideal person for this volunteering role will be full of energy with creative and fun ideas to help produce an exciting atmosphere. The Workforce Operations team are there to keep us all smiling! This is a great role for anyone who is looking to build a career in teaching, HR or recruitment. If you’re a creative type, and able to motivate and engage groups of people, then we would love to hear from you!